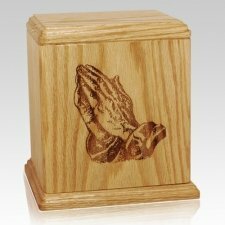 When you are grieving a loved one, your faith is the glue that gives you hope for the future. 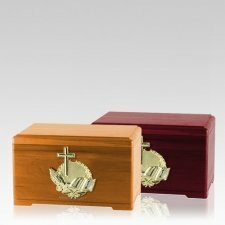 Faith assures you that you will see your beloved spouse, parent, child, friend or another cherished person again. 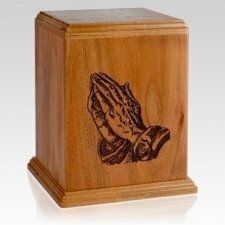 Faith gives you the strength to take those next steps into tomorrow while allowing you the freedom to cherish those memories of the past. 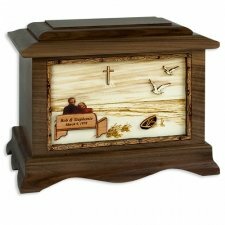 Let your faith shine with one of our beautiful religious cremation urns that can memorialize your loved one's devotion to God. 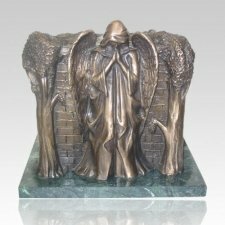 At Memorials.com, we know how important religious beliefs are when it comes to the loss of those you care so deeply about. That is why we have carefully selected many beautiful cremation urns to store the ashes of your loved one in a way that acknowledges their religious faith. 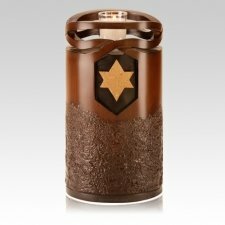 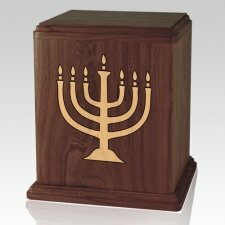 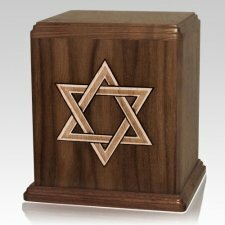 We have cremation urns that can celebrate the Christian, Jewish and other religious beliefs. 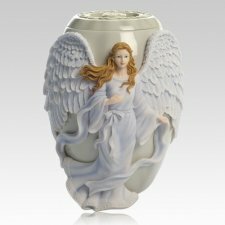 Take the time to browse through our selection of angel urns for ashes, cross urns, prayer urns and other religious cremation urns. 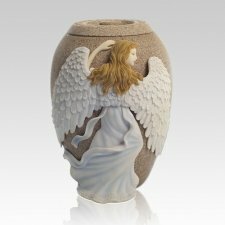 This beautifully crafted angel cremation urn comes in three sizes: keepsake, medium and large. 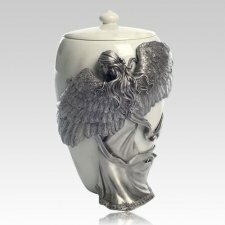 It displays a pewter angel wrapping its arms around the container that holds your loved one's remains, eternally embracing them. 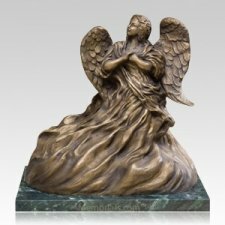 This statuette of an angel in unceasing prayer comes in several sizes, including our companion, which can hold the remains of two people. 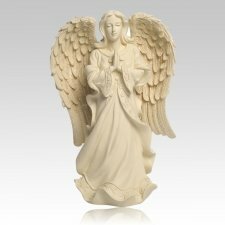 It is made of a quality polystone material. 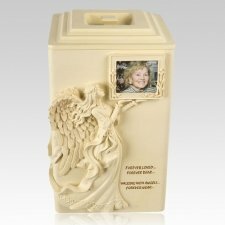 This lovely angel urn has an angel holding a photo frame with a picture of the deceased. 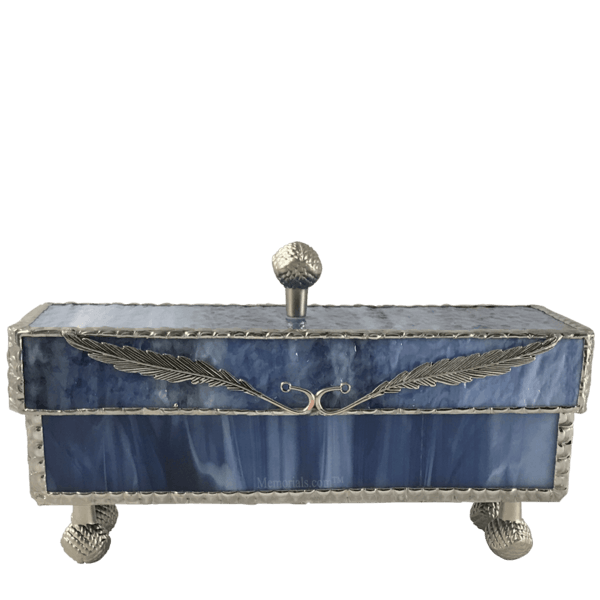 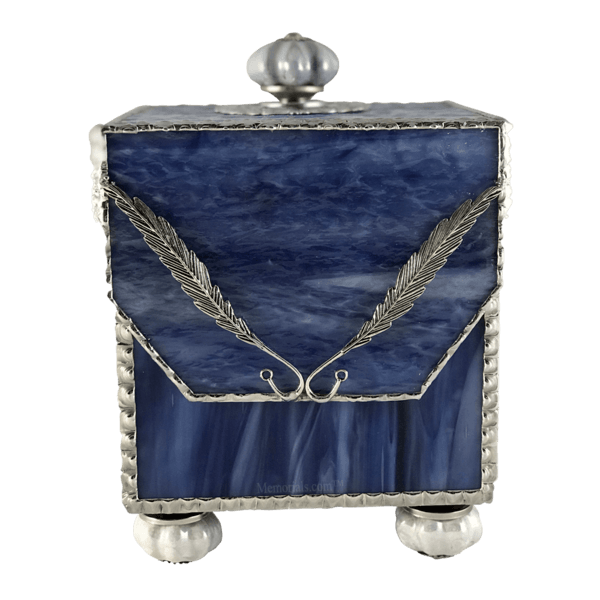 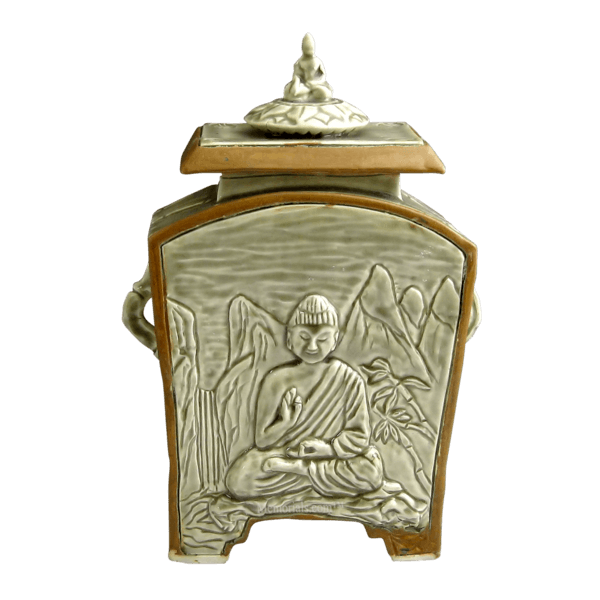 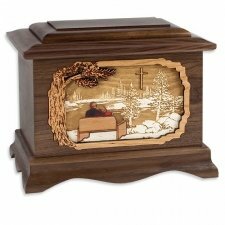 This box urn is a beautiful way to keep their memory alive. 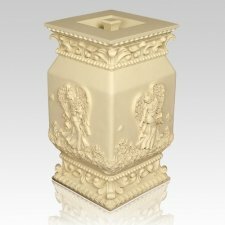 This ornate polystone urn gives the appearance of an ivory carved column surrounded by angels on a bed of flowers with butterflies fluttering around. 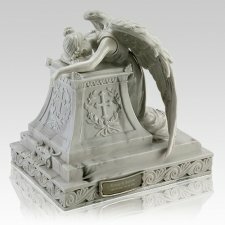 It is the perfect way to let your loved one know they are forever loved. 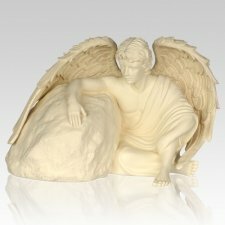 This statuette cremation urn depicts a guardian angel watching over a rock that holds the ashes of your loved one. 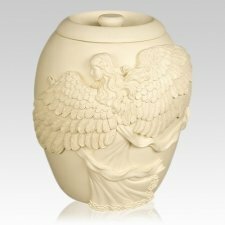 If you are looking for a way to memorialize your deceased, one of our angel cremation urns will show how they are loved and protected from above. 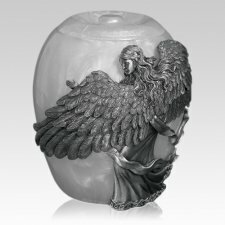 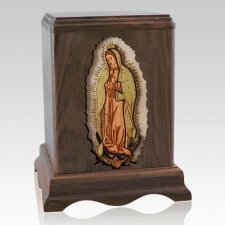 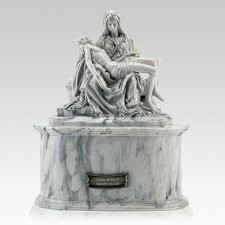 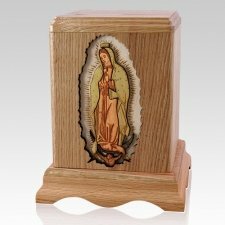 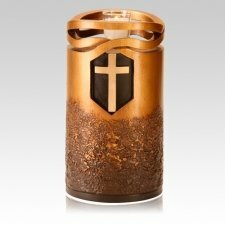 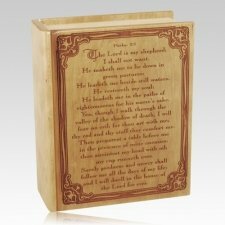 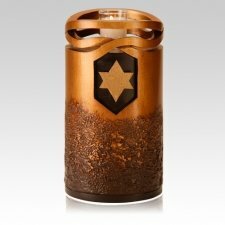 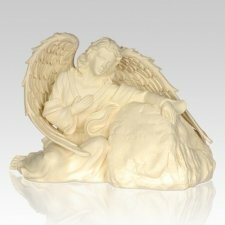 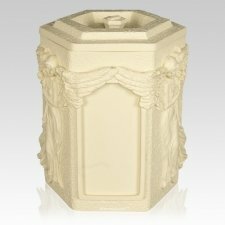 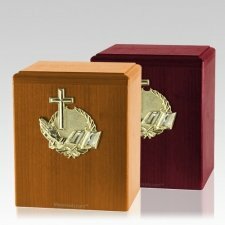 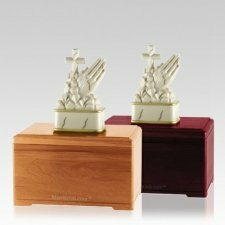 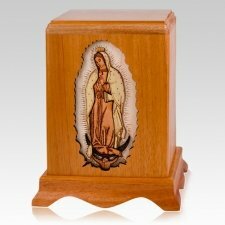 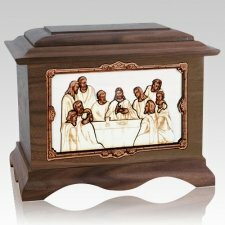 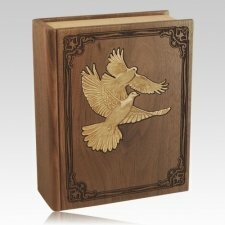 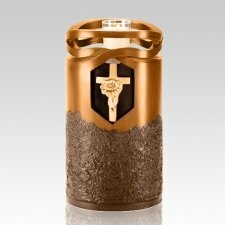 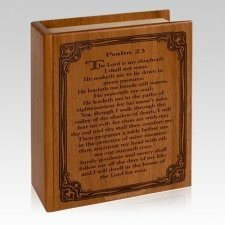 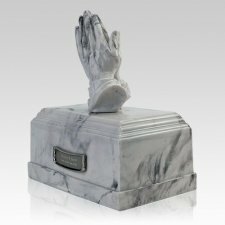 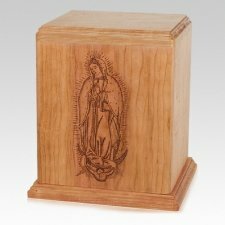 At Memorials.com, we have many other religious cremation urns that will graciously keep the ashes of your special person. 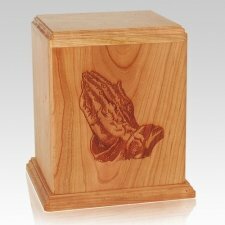 Many different Christian urns depict praying hands. 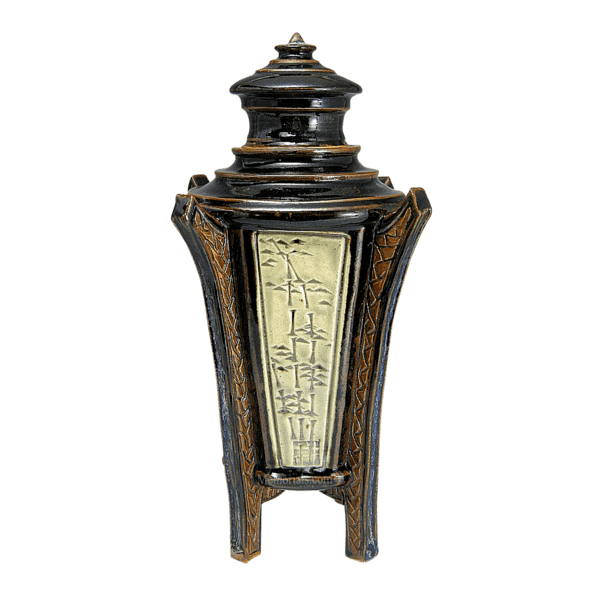 There are options in wood, pewter, bronze, polystone and other lovely materials. 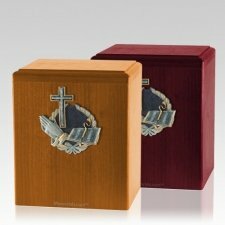 There are many beautiful cross urns for the ashes of your loved one. 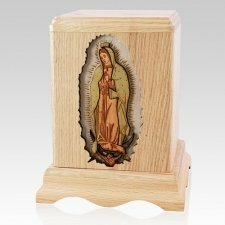 They come in many styles, colors and materials. 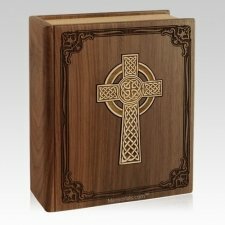 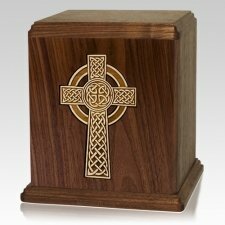 We offer an Emerald Celtic Cross urn, Cross Children urn, Pristino Slim Cross Steel urn and many other cross urns for ashes. 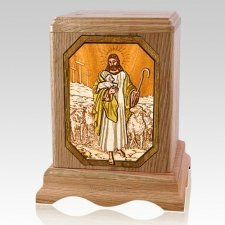 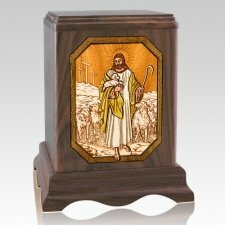 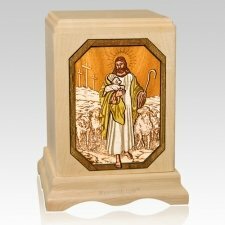 If you need a reminder that the Good Shepherd is watching over the ashes of your special person, an urn with a picture of Jesus will bring you comfort. 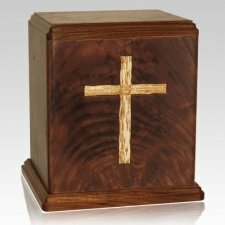 We have several beautiful Bible urns in ceramic, wood, marble and more. 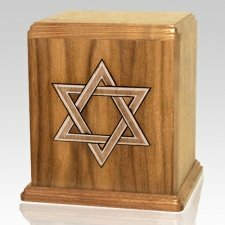 There are several urns with symbols of the Jewish faith like the Menorah or Star of David. 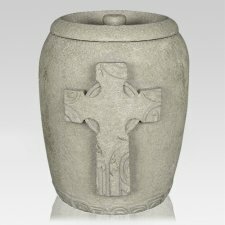 When you are looking for the perfect religious cremation urn, we have something for everyone. 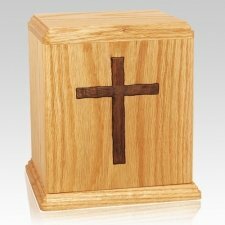 Plus, all our religious-themed cremation urns have free ground shipping. 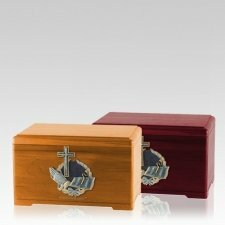 If you need your urn fast, we can upgrade to 2nd-day air or overnight shipping for a small fee. Would you like to learn even more about our religious cremation urns? 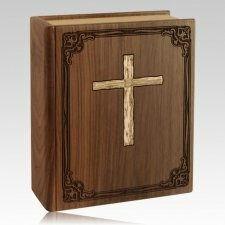 Check out a more detailed article here.